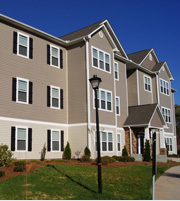 To provide safe, quality, affordable housing to low income families, elderly, and the disabled in the Greensboro community; to maintain a secure community environment; and to encourage personal responsibility and upward mobility of residents while maintaining the fiscal integrity of the agency. ______________________________ For information on the Public Housing or Section 8 application process, contact (336)271-3368. Greensboro Housing Authority is upgrading the applicant portal effective January 22, 2019. We are pleased to announce the introduction of a new web-based information center for applicants. Anyone that registered on the previous site will need to re-register on the new site. Note: This does not change your waitlist status. These waiting lists will remain closed until further notice and no applications are being accepted at this time. Click on the slideshow above to review the guidelines for each program.